Looking to buy a new pistol or revolver, then you’ve come to the right place! Weapon Depot is an online marketplace for firearms, ammunition, gun parts, weapon accessories, hunting, camping, tactical gear, and more. Our mission is simple. We aim to provide you with the best online gun buying experience. 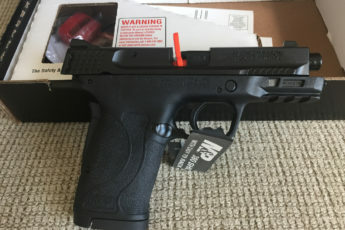 Shop from thousands of online sellers with handguns for sale. Shop our selection of semi-automatic pistols, revolvers, tactical pistols, and more! All handguns must be shipped to a valid FFL. Don’t worry, we make it easy to locate nearby FFL transfer agents during the gun buying process. You can always search our FFL Finder to see if there are any near you.